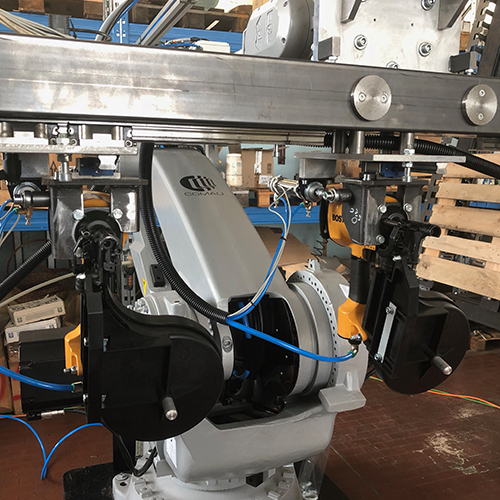 The anthropomorphic robots can be installed and programmed in any operating environment, where the excessive load and repetitiveness of the actions, can simultaneously compromise the health of the human component, and the workflow, such as in an assembly line or a work center. Depending on the type of work to be done and the precision and speed of execution of the various actions, Bosso chooses, install and refine, both commercial robots and self concept and made robots: this allows you to take advantage of the best and most advanced technologies and at the same time have the possibility in the future, to change, expand and refine working lines, reprogramming the robot, for new operational functions. 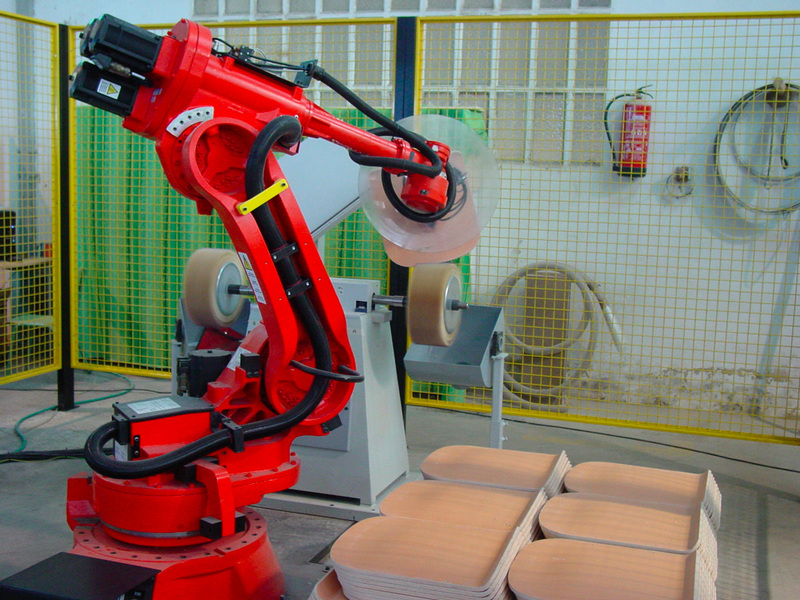 The enslavement of wood processing centers is a strong point for Bosso: the use of anthropomorphic robots, allows speeding up production, minimizing risks and fatigue of the human component. 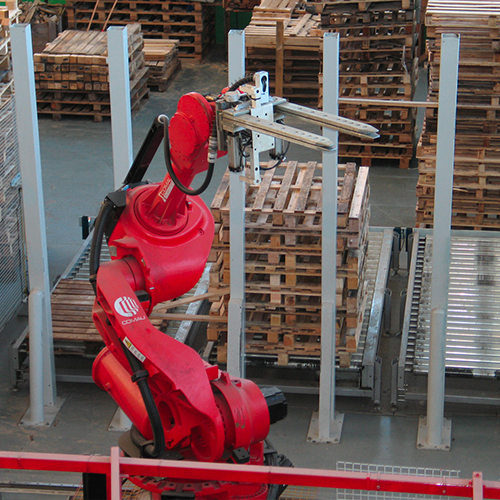 The use of anthropomorphic robots for the handling of new and used pallets, in production and repair centers, are ideal for speeding up the operations that are normally performed by human personnel: in this case, only one operator is needed to perform the maintenance of the pallets. 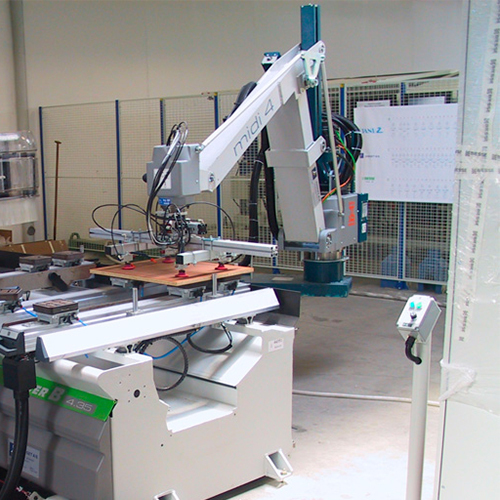 The forming and nailing robots are the vanguard for the automatic realization of wooden structures; these machines are able to work in complete autonomy to the forming, nailing and stacking of the finished product. 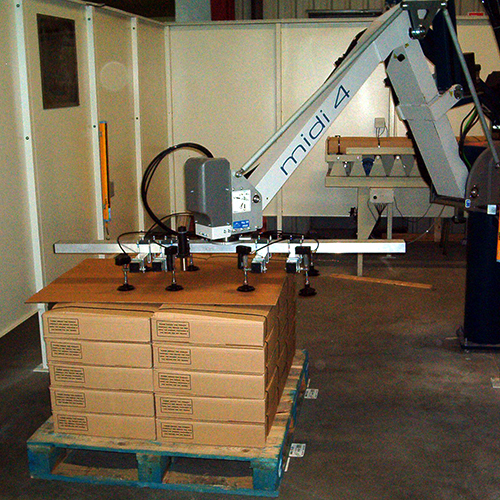 The end-of-line palletizing robots are ideal for the unloading of the finished product and the positioning on the pallet: speed of execution and precision of gripping and positioning in the stacking, are the strengths of these machines. Accetto di essere iscritto alla mailing list.